I'm so glad I finally read this book because I absolutely adored it. I loved being back with these characters and this story. I just...it was so good. I did have some small problems with it but my overall feelings were just "AHHH." Also, this review will be non-spoiler until the very last paragraph which I will give warning beforehand. I loved this book. I thought it was a great addition to the story and I'm glad we got to see this journey with Audrey and Thomas. 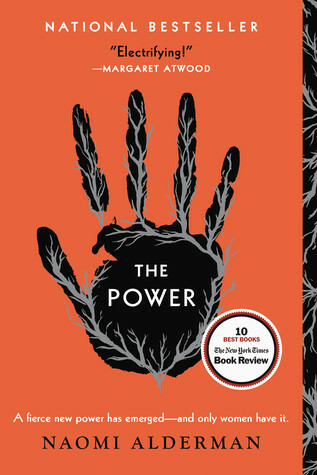 I thought it was very mysterious and also a lot more magical than the previous books. I don't really know what to say other than I enjoyed it a lot. I love Thomas even more, which I didn't think was possible, though I do with that he'd had more page time in this installment. I also thought that while a lot of people had issues with Audrey Rose in this book, I could actually see how most (but not all) of her actions made sense for her character and her growth over the books. Sometimes there were things she did that annoyed me but overall I can see her reasoning behind her actions. I did enjoy the addition of new characters, though I felt like I was a bit confused at times with all of the new names being thrown at us. I wish we'd have gotten to see even more of the different carnival workers apart from the ringmaster. We got a brief intro to each of them but I would have enjoyed diving deeper into a couple of the more visited characters. 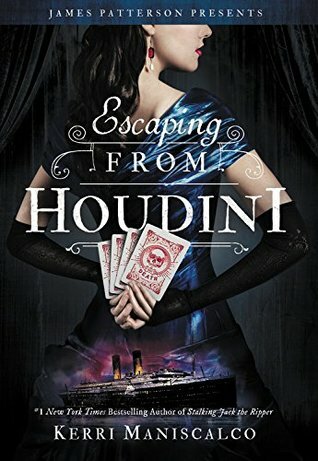 Also, for a book with Houdini in the title, there wasn't much Houdini in the actual plot. Lastly, I'm so glad that there were characters from previous books that got to play bigger roles in this one. I honestly struggle with reviewing books that I've really enjoyed. With books I didn't really enjoy there's always a lot of critique but with books I loved, there's only so many ways that I can say I enjoyed it. And that's the case with this book. My overall feelings were that I loved it and I can't wait for the next one. I especially can't wait for the next one after how the final events in this book happened! Like....just...I'm actually a bit blown away. I'm so excited to see how those events impact the next book. And speaking of the ending...I can't wait to pull out my arc of this book and see how the endings were different since she changed the entire ending after the arcs were printed. I'm very much looking forward to that! But overall, I did think this was a strong installment in the series and I'm very excited to see where the final book goes! Okay, so I liked Mephistopheles but I wish that we'd gotten less of his character and more of Thomas. I think a lot of people were annoyed by the somewhat-love triangle that was present in this book but, honestly, I thought it was pretty realistic. I know we all love Thomas and so does Audrey Rose, but she's a girl who hasn't had much experience with boys so it's not that hard to believe she'd be conflicted about the attention she got all the time from Mephistopheles. Also, it's a nice fantasy to think that Thomas and Audrey would meet in the first book and be together throughout all of them with no ups or downs, but that's not realistic either. Even though I'm still Team Thomas, I don't think this was a bad plot development. I liked Mephistopheles and was okay with the love triangle, but I still wish we'd gotten more Thomas. Also, the one part of Audrey's behavior that I didn't like was when she made the bargain to get information that would break Liza and Houdini up. Also, can we just quickly talk about Audrey throwing herself in front of Thomas and almost dying to save him. Like oh lord that was just...I still cannot get over it. I'm going to be rereading that scene many a times. I'm interested to see how her injury will impact her and her sleuthing in the next book. You can follow my bookstagram here. A brand new giveaway will be posted soon! To get more awesome content like this post, click the follow button to the right! Lauren has read 2 books toward her goal of 100 books.